The expiry of the long holding patents has made the field of 3D printing explode and with that there is a surge of new companies trying their hand in the industry. The prices of printers have dropped faster than any other electronic hardware in the market. That’s great news for those who want to print three-dimensional objects at home, or who need an inexpensive method of prototyping. But this has made buying a 3D printer one of the most difficult choices that one has to make these days; we all are kind of spoilt by the options available. Most of the printers have almost identical specifications and making a decision becomes a real tough job. So let us make things simpler for you. To make buying a 3D printer (specifically a Delta Printer) we have come up with the list of ‘Best Delta 3D Printers for 2016’. 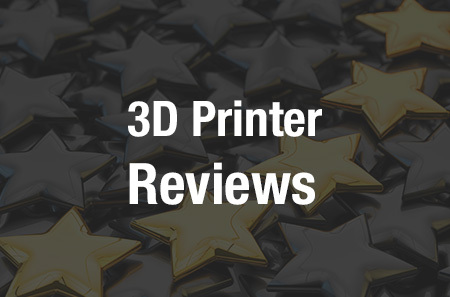 Below, we’ll explore the ‘Best Delta 3D Printers for 2016’ on the market, as well as their various pros and cons, to help ensure that you’re able to make an informed choice. These printers are ordered by price. What do we get for $225 these days? Well you could get a decent 3D printer kit for that price. FLSUN 3D printer has an all-aluminum metal frame that provides greater stability while printing and better accuracy on prints. The channel that’s used to make the external frame of this printer is made with high-quality European Standard 2020 Aluminum. The joints too are made out of Injection molded ABS plastic which ensure ease during assembly and their strength makes them last longer than printer joints. The printer can print with most commercially available plastic filaments like ABS and PLA. The printer also has features like auto bed leveeing to make printing easier and comes with a few goodies like a bundle of masking tape, SD card and a card reader as well. At the cost of $225 it’s a real steal and a great option if you are planning to enter the 3D printing industry without burning a hole inside your pocket. I am a personal fan of HE 3D printers as I have used the earlier version of this 3D printer. The printer comes with laser cut outer frame made out of steel and aluminum. This printer can print as fine as 50 microns and probably gives the best prints out of all the other printers listed here. On the down side the base model can only print using PLA as there is no heated bed; it comes as an upgrade for $50. The printer comes with a strong power supply which heats the printer bed to 120 degree Celsius within 40 seconds. Auto Bed levelling and auto height calibration is yet another feature which can be purchased as an upgrade for $16. The large printing bed size of 320 x 320 x 600 mm makes this one the ideal choice for people looking for great cost to performance ratio. This printer comes in 2 variants, the pulley version and the Linear Guide Version. The base version of the printer comes as a pulley version, with auto bed calibration feature. Heated bed can be bought for an extra cost of $50. What is unique with this printer is that it comes with an active layer cooling mechanism which ensures no warping and uneven printing even while printing higher speeds. The printer frame joints are all injection molded. 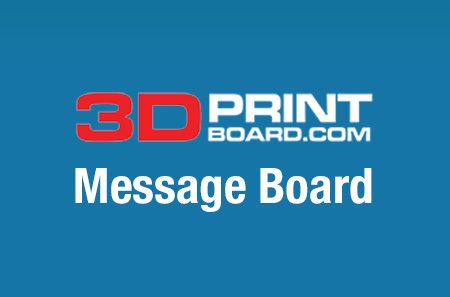 It is one of the easiest to assemble 3D printer kits thanks to the all-new mega 2560 mother boards which has no-brainer easy to understand electronic assembly system. The assembly instructions are also available on the SD card supplied with the printer. Print size base is also decent at 180mm height: 300mm and can print with most kind of ABS and PLA plastics. If you are looking for the Linear Guide version of this printer, it will set you back by another $181. 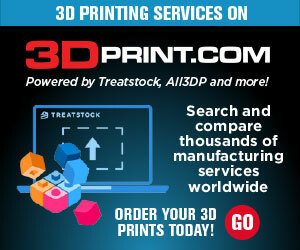 Folger Tech is the only American company that could make it into this elite list of Delta 3D printers. The company’s latest offer is the Folger Tech Kossel 2020 3D Printer (Full Kit) Rev B. Rev B has a larger printer bed and some minor design changes over the original version. The kit comes with laser cut European standard 2020 Aluminum Beam, along with aluminum joints. The company has saved some money by not including injection molded joints; instead it uses 3D printed parts files for which are also available on the website. The printing arms are made out of extra strong carbon fiber rods. An all metal MK9 extruder makes this one the most robust of all the other 3D printers listed today. The company also provides 360W 12V 30A Power supply for higher temperature stability during prints which need heated bed. The revised version of the printer has a bed size of 210 x 310 mm and can print with any kind of common filaments. Note the base version of the printer does not come with an LCD Panel and a SD Card Reader, which can be purchased as extras for as little as $12. I deliberately included this delta printer into this list as most of the printers listed above have approximately the same bed size, and some of you may want a delta printer just because it can make larger prints. He 3D – Mega Delta 3D Printer has a huge printing bed of 280 × 280 × 600 mm and with an upgrade of heated bed for $82 it can print with any kind of material you throw at it. If you are looking for a Dual Nozzle printer, you can purchase an upgrade for $88. Auto-leveling and auto-calibration features come as a standard option with this printer but only works with one extruder. If you are the one that thinks ‘larger is better’ then this printer is a perfect choice for you. Discuss in the Best Delta 3D Printers forum over at 3DPB.com. Mr. Peter Smith is Senior Sales Consultant of 3D Printers Online Retail Store Limited.